Where did the idea for The House That Bloggers Built come from? I had a pretty rubbish start to the year. I got seriously defrauded, my business partner emigrated and we went our separate ways and I had to cancel my upcoming wedding. I desperately needed some headspace, so I ran away to Brazil to do some soul searching and read an amazing book titled The Women Who Run With Wolves. The book is based on folk myths passed down by generations of women in a South American tribe to teach life’s learning’s. One such story, ‘The Three Golden Hairs’, holds an analogy in that to bring an idea to life, you often have to let go of three other ideas or ideals that consume your energy and mind. I applied this thought to my own life as I’d been struggling to see how I could bring together by passion for home renovation and interiors with my skillset in PR and digital marketing. Sure enough, in removing three ideals from the equation, I developed a clear vision for my idea and how I could bring it to life. Herein The House That Bloggers Built was born. This was in May 2017 and at this stage it was just an idea. There was no name, no business plan and no visible path to bring the idea to life. I just loved the idea and the thought of bringing together a team of bloggers to make a house beautiful. I did my research and quickly realised nothing like this had ever been done before. A quiet burn of excitement started bubbling away and I started floating the idea to friends. Most didn’t get it. Meanwhile I’d already started planning an interior blogger event in Brighton, as I was keen to put faces to names of people whose posts I’d been liking and commenting on Instagram. I’d been documenting the progress of my own home renovation for the last couple of years and was keen to bring the online community into life. A couple of days before the event I met up with an old work colleague who told me about the house her husband and his business partner were renovating with the help of an investor. They were struggling to choose bathroom tiles and she joked about how they could really do with my help. The next day I visited the house and pitched them the idea. In principle they were up for it but had to get buy in from the investor so I went away and let them mull it over. The blogger meet up took place on 15 June and it was here I first spoke to people outside my friendship group about the idea. I was talking to the right audience! My favourite reaction was Fiona’s (www.fifimcgee.co.uk), she was so animated and enthusiastic and immediately wanted to be involved. I couldn’t stop grinning like an idiot and realised before my very eyes the idea was growing a life of it’s own. That evening I also met Alice (www.aspoonfulofalice.com) who confessed she didn’t really blog about interiors but was enrolled on an interior design course and wanted to start writing about it. Fellow super-stylists Maxine Brady of We Love Home blog and Antonia MacKenzie also came along, as did Alexa from Black Parrott Studios, Saskia from Mister Smith Interiors and interiors photographer David Woolley. As I looked around the room (the event was at the wonderful Youjuice), I realised I was surrounded by the perfect mix of people for the project. I was buzzing. From here, everything started falling into place. The builders wanted me to style their house, but not a future house as I had in mind, but the one they were already working on that was only a few weeks away from being complete. It seemed like it was meant to be so I went for it. I had a house, I just needed to find a team of bloggers, film crew, someone to help me organise everything, get brands on board… oh and funding to do all the above. Thankfully within a couple of weeks I got funding in place and found Katie, my right hand woman who’s been an absolute gem. Together we set about contacting brands and pitching the idea. Some were less sure than others – after all, this has never been done before and we didn’t have a website, or any photography or footage in place to show anyone. Happily there were brands that instantly got what we were setting out to achieve. First on board were This Is Publicity clients, artrepublic, Vitamin and Lawrence Alkin Gallery, quickly followed by Topps Tiles, Rockett St George, Dunelm and Warren Evans. More brands followed and our team of bloggers fell beautifully into place. I met interior blogger Sarah Akwisombe at an event and she said, “When things keep falling into place, you know you’re onto something good.” She was right. Tune into our YouTube episodes to find out what happens next! Vote for our team members in the Amara IBA’s! 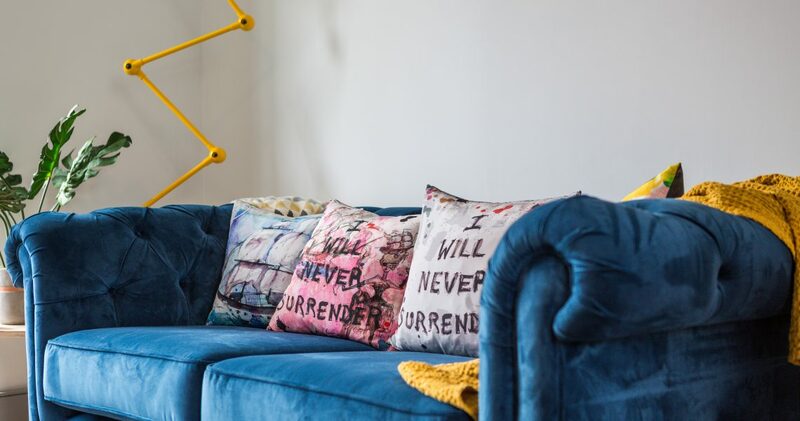 Two bloggers and one of our favourite suppliers involved in The House That Bloggers Built have been nominated in this year’s Amara Interior Blogger Awards. Please vote for the very deserving Mary Middleton of Hello Peagreen for Best Design Inspiration Blog, our guest judge Charis White for the Best Newcomer Blog and Rockett St George for the best company blog. Not only does Mary write for InteriorDesign.net and several other respected interior design titles, she regularly attends all the main expos across Europe hunting for design inspiration. Her passion is evident but she’s also entertaining, approachable and a delight to work with. Charis was formerly Homes & Lifestyle Editor for National Magazines and worked across several national glossies, including SHE magazine, for more than a decade before going freelance. Now freelance, she styles shoots for Ikea, Laura Ashley and Sanderson among others. 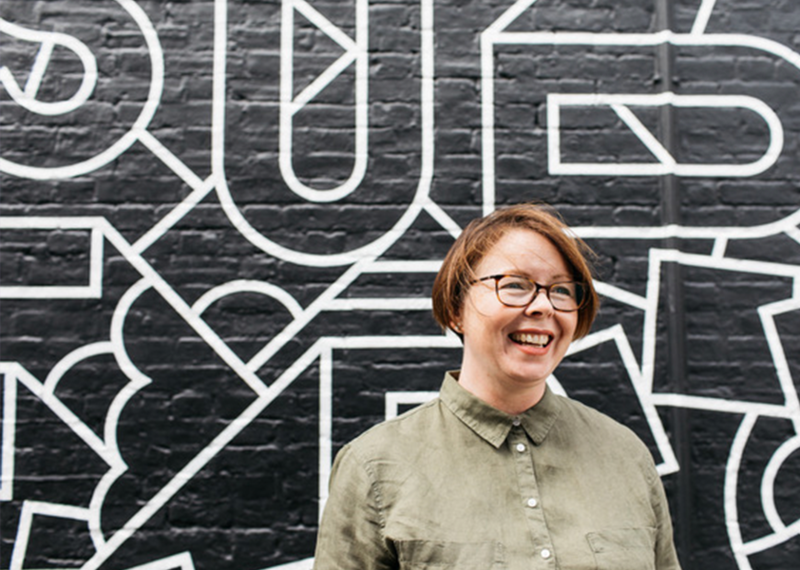 With over 20 years experience, Charis is knowledgeable and a brilliant writer and through her blog we’re lucky enough to get an insight into her work and inspiration. Rockett St George needs no introduction. Probably one of the most Instagrammed brands, the company offers a wide range of incredibly stylish home accessories. Almost every single of our bloggers chose to include RSG items in their roomsets and the team was happy to oblige. We were even lucky enough to have a visit from Jane Rockett at the house! Voting closes on 15 September so you have just over two weeks to cast your votes. You can vote for all three in less than a minute so don’t hang about! The bloggers with the most votes make the shortlist, with a team of judges then choosing a winner from the shortlisted entries in each category. This year’s judges include TV presenter and vlogger Sophie Robinson, Farrow & Ball’s Charlotte Crosby, designer Daniel Hopwood and Amara’s creative director and head buyer Sam Wood. Now in it’s fourth year, the IBA’s are quickly becoming the industry’s online crowning glory. Good luck to the nominees! For more information visit www.interiorblogawards.com.